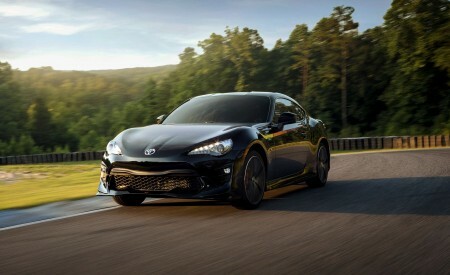 Firstly, its newly adopted Toyota New Global Architecture (TNGA) GA-C platform not only equips it with superior driving dynamics and enhanced safety levels, but has also provided Toyota’s designers with the freedom to give each body type a visually distinctive and individual look. The all-new Corolla model line-up showcases the wide, low stance of a more dynamic design which differentiates between the sporting, compact Hatchback, the sleek, versatile Touring Sports and the refined, prestigious Sedan more strongly than ever before. Secondly, the new Corolla model range further expands the brand’s hybrid line-up. 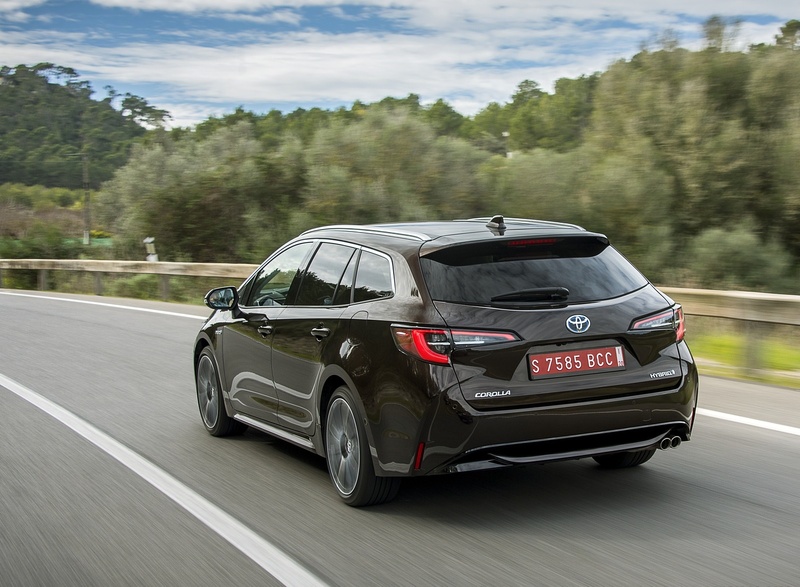 The Hatchback and Touring Sports are the first models to offer a choice of two self-charging hybrid powertrains –an improved 1.8 litre with 122 DIN hp or a brand new 2.0 litre unit developing 180 DIN hp- marking the debut of Toyota’s dual hybrid strategy. And for the first time, the Sedan is available with the 1.8 litre self-charging hybrid powertrain. All new TNGA-based vehicles prioritise the highest active and passive safety standards. The new Corolla line-up is designed to meet the exacting standards of independent crash testing programmes and provide increased active safety levels through the sophisticated functions and systems of the latest Toyota Safety Sense technology. Targeting the heart of the European C-segment, the new Hatchback, Touring Sports and Sedan are dynamic and stylish cars which meet all the requirements of both the daily commute and diverse weekend usage, whilst combining driving enjoyment in all road conditions with the peace of mind and low running costs unique to Toyota’s self-charging hybrid drive technology. Which were the main focus points for the development of the new Corolla model range? Corolla carries a heritage of more than 50 years. From the first generation model until the latest one it has always remained true to its original concept: a passenger car which offers strong levels of quality, durability and reliability (QDR), and a smooth driving experience which people from all around the globe can enjoy. This foundation, or ‘Corolla-ness’, as we call it, was our starting point. Then, in the concept development phase, we looked at which new elements we could add for this new generation Corolla. We identified ‘dynamic styling’ and ‘driving pleasure/fun-to-drive’ as the two main pillars. To achieve these two elements we knew we could rely on the new TNGA-based GA-C platform. One of the big merits of this new platform is that it allows designers more freedom to create a dynamic exterior. All three Corolla body types now have a visually distinctive and individual look with a lower stance and more appealing proportions. We’ve also ensured better all-around visibility for the driver by implementing thinner A-pillars and a lowered dashboard and bonnet. 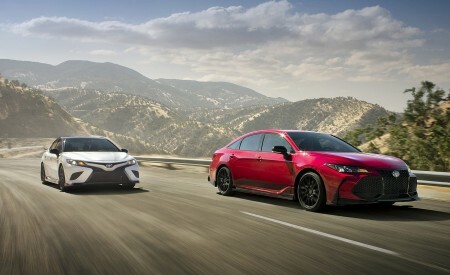 The new Corolla shares its platform with the latest generation Prius and C-HR. From that point of view we already knew we had a good basis for driving dynamics thanks to a low driving position, a lowered centre of gravity and the multi-link rear suspension. Nevertheless, we were able to improve the dynamic performance even further. For example, the steering response has been further developed to provide a better steering feel, and the rear suspension now features newly developed shock absorbers with new friction technology to provide an even better balance between ride and handling. Why does the Sedan have a front and rear design which is different to that of the Hatchback and Touring Sports? Based on the customer research which we conducted at the beginning of the project, it was clear that Hatchback and Touring Sports customers are very keen to have a dynamic looking vehicle, whereas Sedan owners tend to prefer a vehicle with a more prestigious look. Visually the three body types are clearly related thanks to their overall sporting shape, but we’ve added a more prestige touch to the Sedan’s exterior design. Corolla is a global model. How did you ensure that its driving capabilities are suitable for customers from different regions? In the past there were clear differences in what customers expected from their vehicle, but nowadays it seems more unified amongst the different regions. From the customer interviews which we held in Europe, the USA and Japan we learned that they all want a nice looking car that handles well. This makes it easier for us to have one main direction for dynamic performance which can be appreciated by all customers around the world. Dynamically, the car is aimed at Europe, but for other markets we conducted some further regional tuning, optimising suspension and steering set-ups to ensure that the car copes well with local road conditions. Did you apply different tuning for the three different body types? The overall direction to have a ‘fun to drive’ feeling is the same, but indeed body type-specific tuning has been implemented according to customer expectations. 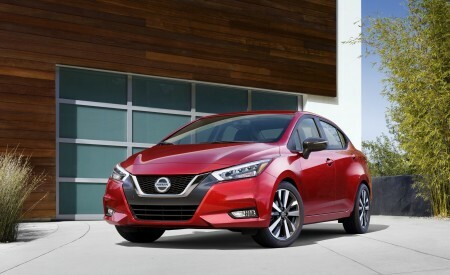 The Hatchback has a more dynamic character with more direct response and a more agile feeling. 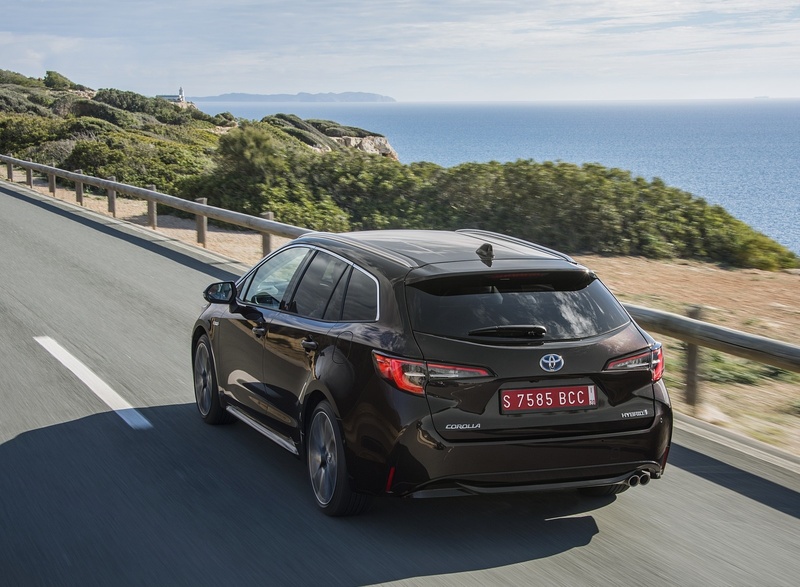 The Sedan and Touring Sports both make use of the extended wheelbase to combine good handling with more ride comfort –especially for the rear passengers- while still offering a stable ride. Of course we also had to tune the Touring Sports’ suspension to ensure the same level of handling even when the owner maximises the car’s higher load capacity. These different characteristics were already defined at the beginning of the development. Did you also conduct prototype drives in Europe? Of course! Not only because Europe will be the main region for Hatchback and Touring Sports sales, but also because, in general, Europeans have a more ‘dynamic’ way of driving. The speed of traffic is higher than in other regions, people want their cars to be nimble for city driving and comfortable for long distance driving at highway speeds. 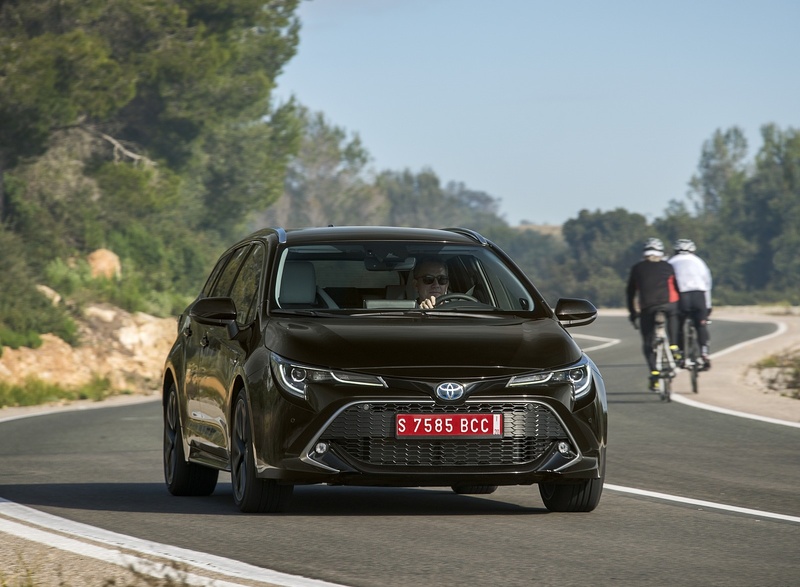 Therefore we conducted extensive testing in several European countries, including Belgium because of the involvement of our colleagues at the European R&D centre there, who were in charge of the development for the Touring Sports model. Which element are you most proud of? During the development several people not part of our team –such as other Toyota engineers, a limited number journalists, people from our global sales network- had the opportunity to drive the car. Each of them had a big smile on their face when they got behind the wheel of the prototypes. This is the type of appreciation which makes me feel proud. I know that in some regions the image of Toyota and Corolla is sometimes considered a bit… boring, maybe? But I am confident that thanks to this new generation’s sleek design and good driving performance we can turn this image around. If you could become the Chief Engineer of any Toyota model, which one would you choose? I would still choose Corolla; a model that is sold all around the world and which has such a strong heritage. The fact that I can meet and work with people from various countries and regions makes it very interesting for me. I’ve learned that how customers use their car varies around the world. This makes it more challenging for us to ensure that new Corolla suits all of them. But this is also what makes us enjoy our job so much. 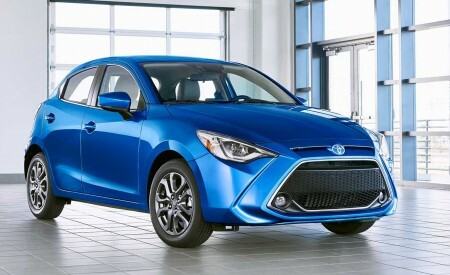 It is also our goal to continue to build the model’s legacy, and the biggest reward we can get is seeing how people enjoy our car and that they are proud to own a new Corolla. 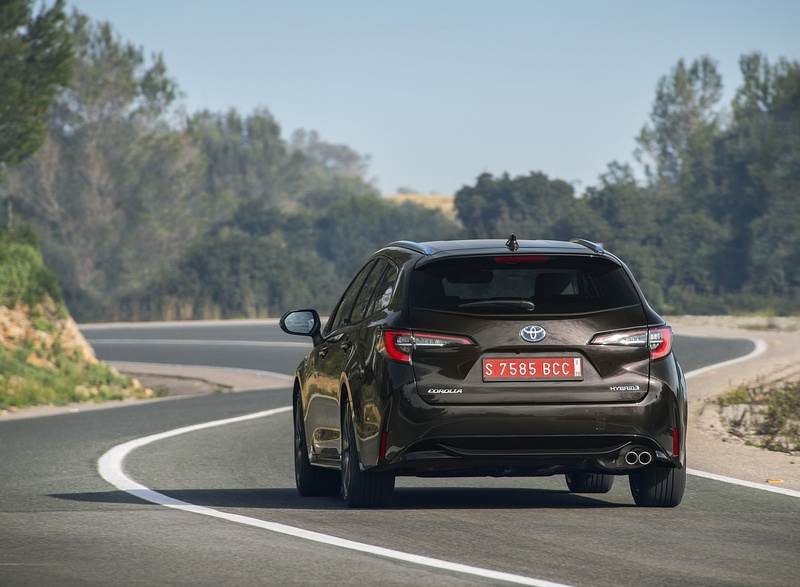 The TNGA GA-C platformbrings considerable dynamic benefits to the new Corolla model range, as well as marked improvements to driver ergonomics and visibility. The GA-C platform guarantees a more rewarding driving experience thanks to a centre of gravity that is lowered by 10 mm, a multi-link rear suspension fitted as standard across the model range, and a 60% more rigid body shell through the use of high strength steel as reinforcement in key areas. All contribute to better handling and stability without compromising ride and comfort, as well as reducing high frequency vibration for an increased feeling of quality. Aluminium, high tensile strength steel and hot stamped materials have been extensively used, and the panel thickness of the doors and roof panel reduced. This has effected a considerable weight reduction for the body in white and, hence, helps improve overall fuel efficiency. At the same time, the addition of adhesives throughout the new bodyshell, an increase in the use of spot welding, and the use of fully closed cross-sections and structural rings combine to increase body rigidity by some 60% over the outgoing models, promoting a marked increase in handling agility, responsiveness to steering inputs and high speed stability. Handling and agility are further improved by the lower mounting height of the engine, the lower hip point of the seats and the location of the hybrid battery beneath the rear seats. In combination, these measures have lowered the new Corolla’s centre of gravity by some 10 mm. 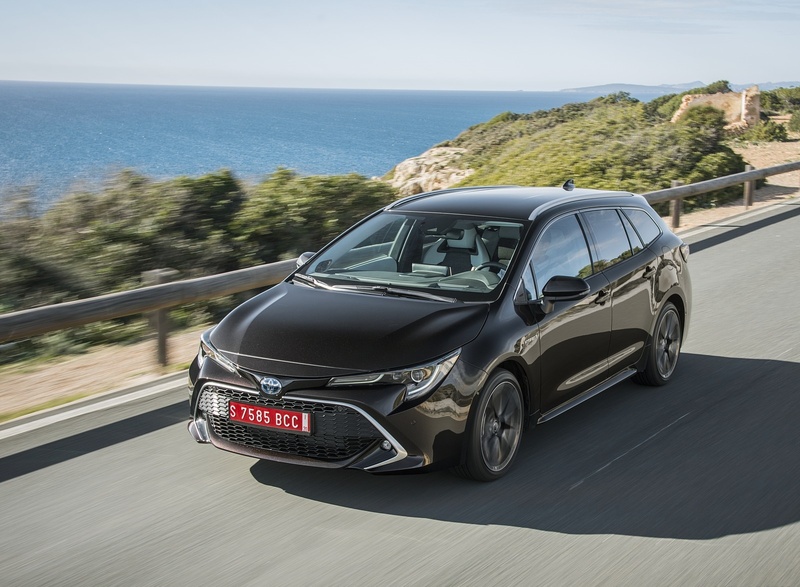 The new Corolla range features a proven MacPherson strut front suspension system, an all-new multi-link rear suspension arrangement, new shock absorber valve technology and, for the first time, the availability of Adaptive Variable Suspension (AVS) on Hatchback and Touring Sports variants. 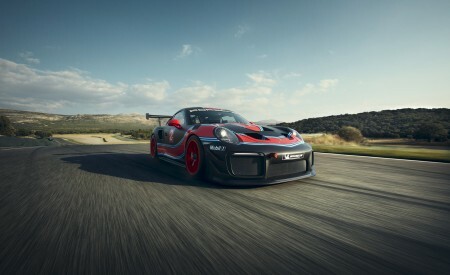 The front suspension geometry has been revised, with newly developed shock absorbers, and coil spring characteristics optimised for a linear steering response during mid- to high-speed cornering. The bound stopper characteristics, bound stopper clearance and stabiliser location have also been optimised to enhance steering feel. And the strut bearing rotation axis has been realigned from the shock absorber to the king pin axis (steering axis), reducing steering force differences between left and right sides and further improving steering feel. The suspension arm and bush structures have been changed and the friction of sliding parts reduced to achieve quicker shock absorber response and minimise the transmission of shocks from rough surfaces and achieve high quality ride comfort. The newly developed multi-link rear suspension features compact packaging and exclusively designed coil springs, which offer both handling stability and ride comfort. And link arm location has been optimised to keep the tyres at a toe-in angle both during cornering and under braking, enhancing the vehicle’s response to steering inputs and stability under braking. Both front and rear suspension systems benefit from a 40% reduction in friction for a smoother, more comfortable ride. The Adaptive Variable Suspension (AVS) system controls shock absorber damping on all four wheels, enhancing both ride comfort and -through improved steering response and a flatter ride- driving performance. Damping force is automatically and continuously controlled through 650 steps by a linear solenoid actuator, which operates four times faster than a conventional step motor. AVS cooperates with the Drive Mode Select system to control damping force in accordance with the selection of ECO, NORMAL, SPORT S, SPORT S+ or CUSTOM modes, offering drivers the appropriate balance of ride comfort and handling agility. A further benefit of the GA-C platform is its suitability for the design of a highly aerodynamic body shape through such measures as the overall reduction in vehicle height and the significant lowering of the bonnet height. A full underfloor cover has been adopted, and aero stabilising fins have been installed on both the rear bumper seal and the outer lens of the rear lamp clusters to help improve handing stability. 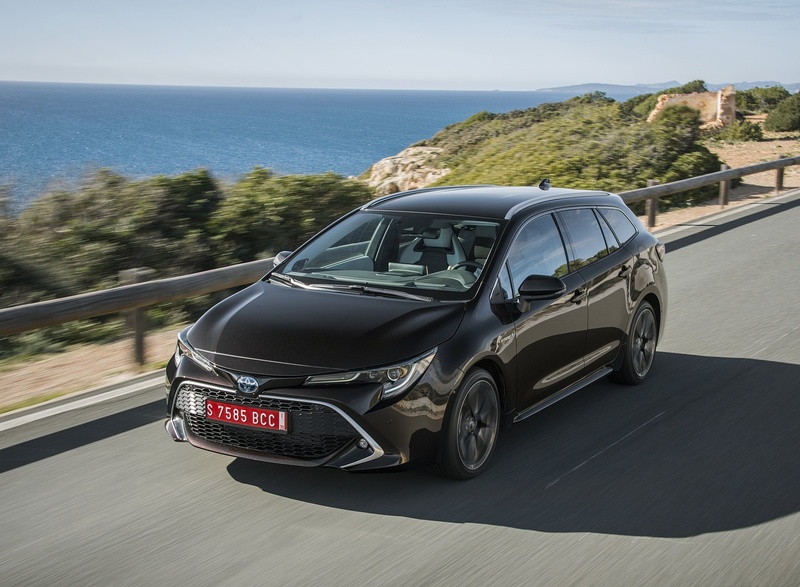 Building on the inherent quietness of Toyota’s self-charging hybrid technology, the new Corolla benefits from numerous measures to minimise both the noise and vibration entering the cabin. The engine installation has been carefully designed to minimise vibration during start up and at idling speeds. Engine speed increase at the start of acceleration has also been suppressed, not only to achieve a more linear match of engine and vehicle speeds, but also to enhance quietness during acceleration. The GA-C platform itself contributes to the suppression of transmission vibration. The steering wheel pad functions as a dynamic damper to suppress steering vibration, and even the tool box functions as a dynamic damper to reduce rear floor panel vibration. The generous application of sound absorbing and insulating material in the engine bay combines with a triple-layered dashboard inner silencer to minimise the penetration of engine and transmission noise into the cabin. An integral floor silencer has also been adopted, increased body sealer has been applied to gaps between panels, and foam material has been installed within the body frame in numerous locations to reduce the penetration of wind and road noise into the cabin. What was TME R&D’s involvement in the development of the car? Platform testing for this new generation Corolla was carried out in Europe, in different stages, since 2012. In the case of the Hatchback and Touring Sports, the vehicles were developed with Europe as primary market. Here at TME R&D we set the initial vehicle direction and targets from the start. After that, we worked on European specific areas such as vehicle dynamics, drivability, noise & vibration and sensory quality. And, in case of the Touring Sports, vehicle concept, styling and all components behind the B-pillar were 100% developed in Europe. What did you want to achieve with the new Corolla, and how did you go about making it different from previous generations of the model? One fundamental difference is that we worked with the GA-C platform. This has been developed to meet European standards -the highest in the world- in areas such as ride and handling, and noise & vibration. Throughout the project, we aimed at developing an emotionally engaging car. This was realised by the introduction of the brand new 2.0L hybrid powertrain, the highest sensory quality standards, and enormous efforts to ensure styling finesse. Which were the main areas you wanted to improve with the development of the new Corolla? In a word: ‘Coherence’, based on the introduction of a dual Hybrid offer. We developed the car around that, with optimal driveability, a fine balance of ride and handling, the lowest possible noise and vibration, supportive seats, and premium audio. We made every effort to provide a confident and enjoyable driving experience for both the daily commute and also when travelling long distances. This really is an ‘all-new’ car, what kind of challenges did that present? We had many technical challenges, such as how to ensure body rigidity for the Touring Sports. But as this could be managed within TME, it was probably not the biggest hurdle we faced. I would say that the biggest challenge was to develop new Corolla with 2 teams -Japan and Europe – working in parallel; even if today communication tools have evolved a lot, in the end, project progress and success lies in the hands of people. With Chief Engineers on both sides who have had years of experience in Europe, communication, understanding and alignment have been key to overcome even the biggest challenges. What makes the new Corolla a true European car? As mentioned earlier, the vehicle direction and targets were set here in Europe. And we worked on many areas including ride and handling. Sensory quality was also developed by our team, now recognized as a ‘Centre of Excellence’ in that field and currently working on many global projects. The wagon was fully developed in Europe and is only sold here. And the hatchback was developed specifically to meet the stringent demands of Europe’s largest segment. On the powertrain side, we are the only carmaker in Europe offering 2 petrol-electrified powertrains, which is what the European customer is asking for right now. At no point in the project did we had to accept a ‘compromise’ decision to meet the demands of other regions. 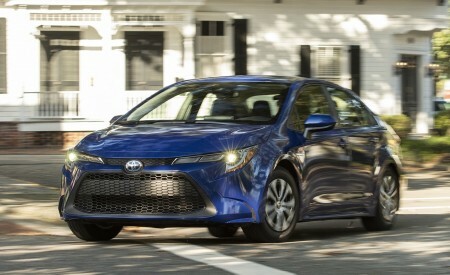 Rather, new Corolla is a car developed to be a strong competitor on the European market, and which is sold globally. Which changes did you make to the interior? With the GA-C platform, the base of the front windscreen was lowered by 40 mm, the overall height of the dashboard was reduced to provide a more elegant, lighter shape than before, while at the same time improving visibility. The seats are lowered by 25 mm to maintain the same head clearance as before. On the materials and finishes side, we mapped the interior to ensure a consistent approach in all applications and, from the first 3D model, shapes were optimised in detail to ensure their visual credibility; for example, metal inserts look and feel like metal. Which countermeasures did you take to improve the Corolla’s NVH performance? What is your favourite ‘feature’ of the new Corolla? Maybe it is not really a ‘feature’ as such, but for me the driving position -seat/dash/steering/console- is what makes the first important difference. From the moment you sit down, you want to take off and drive it; it engages you and provides confidence from the start. Society’s increasingdemand for environmental solutions has led to ever more strict regulations, particularly in large European cities. Combining the lowest possible emissions with the capability of driving for up to 50% of a daily commute under all-electric power alone1, Toyota’s self-charging hybrid powertrains represent a compelling proposition. Toyota has always prided itself on listening to its customers and responding to the feedback they provide. 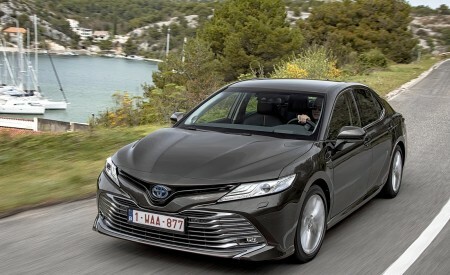 After 20 years of hybrid leadership and more than 12 million global sales, including more than two million units in Europe, the company has also focused on the input of potential customers who want more power whilst driving a hybrid. 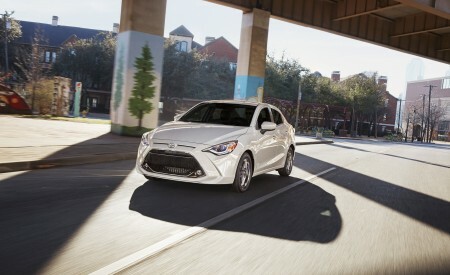 For this reason, Toyota is offering the new Corolla Hatchback and Touring Sports models with a choice of two hybrid powertrains; one offering all the fourth generation hybrid system’s strengths, including improved response and linearity, and the traditional benefits of fuel efficiency and a relaxing drive, the second building on these strengths with greater power on demand, effortless acceleration and more dynamic, ‘fun to drive’ characteristics. 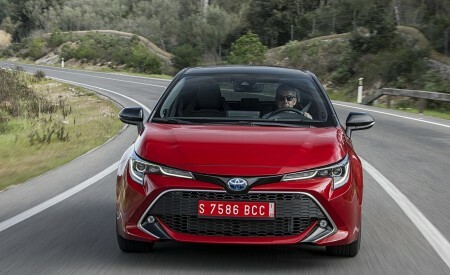 In addition to the self-charging hybrid powertrains, both Hatchback and Touring Sports versions will offer customers one conventional engine -a 1.2 litre turbo petrol unit. The new Sedan will be available with a choice of the 122 DIN hp, 1.8 litre hybrid powertrain or an improved 132 DIN hp, 1.6 litre petrol engine which combines responsiveness with efficiency. The fourth generation 1.8 litre self-charging hybrid system develops 122 DIN hp/90 kW and 142 Nm of engine torque, with the added power of a 53 kW/600V electric motor which develops maximum torque of 163 Nm from zero rpm. It fulfils all the requirements that customers have come to expect from a Toyota self-charging hybrid powertrain -quiet, intuitive, responsive and self-sufficient EV technology with no need for plug-in recharging. It offers low cost of ownership, outstanding fuel economy and low CO2emissions, and up to 50% all-electric driving on the everyday commute. Its size and weight reduced to fit within the new GA-C platform without detriment to output or quietness, the four-cylinder, 1,797 cm3, DOHC, Atkinson Cycle engine benefits from numerous measures designed to improve fuel efficiency, enhance acceleration performance and reduce cabin noise. Fuel efficiency has been improved through the reduction of friction, high tumble flow and optimum heat management. Friction reduction measures include a new piston skirt shape and its sliding part’s resin coating, the adoption of a spacer inside the cylinder block water jacket to suppress cylinder bore deformation, the use of low-friction valve train and chain drive components, and the optimisation of the crank and connection rod bearings. High tumble flow has been achieved through the shape of the intake port and the piston, enhancing EGR (Exhaust Gas Recirculation) and improving combustion. A diagonal squish combustion chamber aligned with the spark plug angle improved anti-knock performance and fuel efficiency. The EGR (Exhaust Gas Recirculation) system valve has been enlarged to optimise gas flow, the intake manifold gas distribution structure has been optimised and EGR cooler heat exchange efficiency has been increased. Heat management has been optimised by the adoption of a low flow type electric water pump, a division of the cooling path into two -one for the engine and the other for the heater, the installation of a Flow Shutting Valve (FSV) between the water outlet and EGR cooler to reduce coolant flow during engine warm up, the use of thin, long reach spark plugs, the shape of the combustion chamber water jacket and the promotion of high tumble flow. Acceleration performance has been enhanced through the adoption of dual needle type spark plugs to improve ignition, and the adoption of a rectangular type ignition coil with high coil shape flexibility to reduce size and accommodate increased hybrid engine output. Cabin noise has been reduced through the optimisation of the engine main body to achieve low vibration and noise, an amended engine mount position and shape, the adoption of a resin cylinder head cover which combines substantial weight reduction with superior NV (Noise and Vibration) performance, and a change in the shape of the exhaust system muffler. The hybrid system features a smaller, lighter transaxle in which a new, dual axis structure adopted for the motor and generator achieves a low loss gear train with a smaller overall width. This parallel axis structure both increases the motor’s rotation speed and reduces its size. The gear ratio has been optimised to promote maximum fuel efficiency and dynamic performance. Allied to gear tooth surface polishing, the new gear structure further suppresses resonance and operation noise, making the hybrid drive system quieter in operation than ever before. The calibration of the hybrid drive system has been further refined. Greater torque from the electric motor provides a more linear rpm increase under acceleration. And the adoption of a new hybrid battery pack (Li-ion on Hatchback and Touring Sports, Ni-mH on Sedan) promotes even greater fuel economy. Equipped with the 1.8 litre hybrid powertrain, performance figures for the Hatchback, Touring Sports and Sedan are 0 to 100 km/h in 10.9, 11.1 and 11.0 seconds respectively. All three variants have a maximum speed of 180 km/h. Fuel consumption for both the Hatchback and Touring Sports is as low as 3.3 l/100 km2and CO2emissions are just 76 g/km (WLTP: 101 g/km), whilst the Sedan’s fuel consumption is as low as 3.4 l/100 km2and its CO2emissions are only 77 g/km (WLTP: 100 g/km). The new 2.0 litre hybrid system develops 180 DIN hp/132 kW and 190 Nm of engine torque, also with the added power of a nickel-metal hydride-powered, 80 kW/650V electric motor which develops maximum torque of 202 Nm from zero rpm. Taking full advantage of the added stability, handling and agility inherent in the newly adopted GA-C platform, it offers drivers an ‘energised drive’, with more power, a Sport driving mode and a 6-speed Sequential Shiftmatic transmission with steering wheel-mounted paddles for a more dynamic, engaging driving experience. Moreover, the new 2.0 litre hybrid system is a unique proposition in this segment; no conventional powertrain can offer the same combination of performance and low emissions. And numerous measures have been taken to ensure that extra power is matched by enhanced fuel efficiency, lower emissions and quiet running. Its outer wall thickness reduced to 2.3 mm, the aluminium die-cast engine block has been designed for minimum weight and a lowered centre of gravity, significantly enhancing the Corolla’s dynamic performance and engaging driving characteristics. Other weight reducing measures include a thinner cylinder head, a lightweight timing chain case, and a lighter valve train. The high speed combustion achieved through the high tumble flow of a highly efficient intake port and long stroke, a new oil pump design and numerous friction-reducing measures shared with the 1.8 litre hybrid unit combine with a high compression ratio of 14:1 to enhance fuel efficiency. Further improving fuel efficiency, the four-cylinder, 1,987 cm³ engine features an uprated Dual VVT-i system with VVT-iE (Variable Valve Timing-intelligent Electric) on the intake side, in which valve timing is controlled by an electric motor rather than oil pressure, enhancing output and fuel efficiency whilst lowering emissions. Also lowering emissions, the exhaust system catalytic converter has been placed closer to the engine, and warm-up control after engine start optimised to achieve early, enhanced exhaust purification. Furthermore, a balance shaft, amended engine mount position and shape, structural changes to the transaxle, gear tooth polishing, the adoption of a positive/negative hysteresis damper, a lightweight timing chain and revisions to the water pump motor all combine to reduce powertrain noise to exceptionally low levels. As with the 1.8 litre system, the new hybrid powertrain also features a reduction in size of the transaxle, power control unit, motor and nickel-metal hydride hybrid battery. In addition, the EV drive vehicle maximum cruising speed has been increased to above 115 km/h, and system control has been changed to prohibit engine start without accelerator pedal operation even before engine warm up starts. In combination, these measures substantially enhance fuel efficiency. 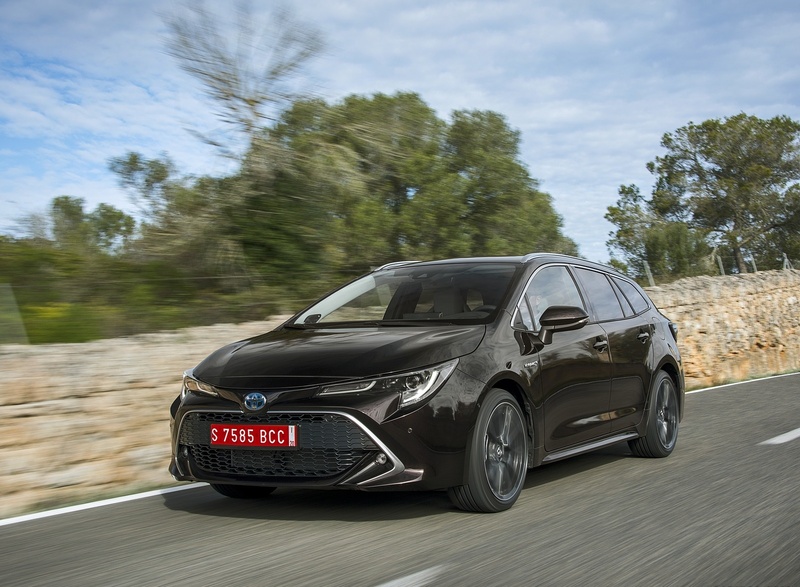 The 2.0 litre hybrid powertrain gives the Hatchback and Touring Sports 0 to 100 km/h acceleration times of 7.9 and 8.1 seconds respectively, and an identical maximum speed of 180 km/h. Fuel consumption for both models is as low as 3.7 l/100 km2. The Hatchback generates CO2emissions of just 85 g/km (WLTP: 106 g/km), and the Touring Sports only 84 g/km (WLTP: 106 g/km). 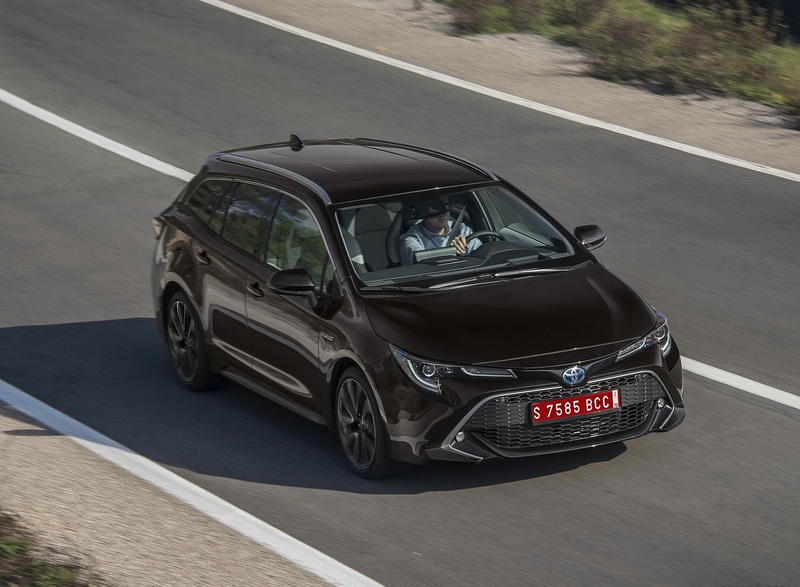 The sole petrol engine option in the Hatchback and Touring Sports range, the four-cylinder, 16 valve, DOHC, Dual VVT-iW, 1,197 cm³ turbo petrol engine develops a maximum power output of 114 DIN hp/85 kW and maximum torque of 185 Nm. The unit benefits from a single scroll turbocharger with water-cooled intercooler and a Dual VVT-iW (Variable Valve Timing-intelligent Wide) system. VVT-iW features standard VVT-i on the exhaust valves and VVT-iW on the intake side. The latter features a mid-position camshaft lock mechanism which retards the continuously variable valve timing. Enhancing smooth acceleration during low speed driving, the maximum engine speed has been raised from 5,600 rpm to 6,200 rpm. Numerous friction reduction measures have been introduced to improve fuel efficiency. They include a DLC (Diamond Like Coating) applied to the outer circumference of the compression and oil rings to reduce piston sliding friction, a newly developed resin coating to the piston skirt and crankshaft main support, and the optimised thickness and material of the V ribbed belt to reduce flexural resistance and thus friction. The 1.2T powertrain is available with a CVT gearbox or a 6-speed ‘Intelligent Manual Transmission (iMT)’. Just like a master of the heel-and-toe technique, the iMT automatically increases engine revs when downshifting, ensuring a smooth gear shift, and improving clutch and transmission wear. The system also works when shifting up in order to improve comfort for driver and passengers by reducing clutch shock. A smooth start is also ensured and the risk of stalling is almost nil. 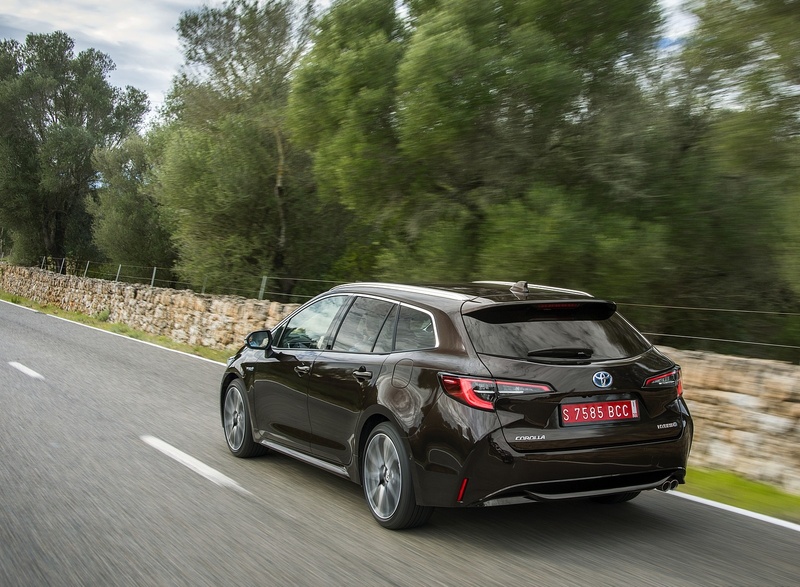 When equipped with the iMT, the Hatchback and Touring Sports will accelerate from 0 to 100 km/h in 9.3 and 9.6 seconds respectively. Both achieve a top speed of 200 km/h. Fuel consumption for both variants is as low as 5.2 l/100 km2and CO2emissions are only 119 g/km (WLTP: 132 g/km). When mated to the CVT gearbox, Hatchback and Touring Sports 0 to 100 km/h acceleration is 10.0 and 10.3 seconds, with both achieve a top speed of 195 km/h. Fuel consumption is as low as 5.2 l/100 km2and CO2emissions are only 116 g/km (WLTP: 138 g/km) for both body types. Exclusive to the new Sedan, the improved 1.6 litre Valvematic engine develops 97 kW/132 DIN hp and a maximum torque of 159 Nm at only 4,400 rpm. Valvematic is a further development of Toyota’s highly successful Dual Variable Valve Timing-intelligent (Dual VVT-i) system. It takes VVT-i technology a step forward by adding lift and duration control to the inlet valve variable timing. This improves intake airflow volume and speed management -and, subsequently, combustion process management- to deliver 7% more power for 8% less fuel consumption, with reduced CO2emissions. The adoption of Valvematic further reduces friction and pumping losses under light engine loads, further lowering fuel consumption. Valvematic efficiency is further improved through the adoption of a variable length inlet manifold. This acts as an accelerator at low to medium engine speeds, maximising inlet air speed for optimum combustion efficiency. At higher engine speeds the manifold is fully open. This allows air to travel via a shorter route, maximising the volume of air entering the combustion chamber and, hence, engine power output. When equipped with the 6-speed manual transmission, the Sedan accelerates from 0 to 100 km/h in 9.7 seconds and on to a top speed of 200 km/h. Fuel consumption is as low as 5.7 l/100 km2and CO2emissions are only 130 g/km (WLTP: 139 g/km). The Multidrive S gearbox gives the Sedan a 0 to 100 km/h acceleration time of 10.2 seconds and a maximum speed of 190 km/h, with average fuel consumption as low as 5.5 l/100 km2and CO2emissions of just 125 g/km (WLTP: 146 g/km). How do the 1.8 litre and 2.0 litre hybrid systems differ from each other; is it only the displacement of the combustion engine? The 1.8 litre system was developed for customers who value fuel economy. And the 2.0 litre powertrain has been developed for customers who want more power and a more dynamic drive. But the difference between the two units is not limited to the displacement of the combustion engine; the latter is a completely new self-charging hybrid system that can offer both excellent fuel efficiency and enthusiastic driving. Is the 1.8 litre hybrid powertrain identical to that of Prius and C-HR, or have there been any changes made in the mean time? The 1.8 litre HV system is basically the same as that of Prius or C-HR but we made some small tuning changes to further refine the powertrain and enhance the driving experience. What was your main challenge during the development of the new 2.0 litre hybrid system? For the new 2.0 litre hybrid powertrain, we further developed not only the rate of acceleration but also the sense of acceleration. By suppressing the initial engine rpm by using more battery and electric motor power, we were able to realise a more linear feeling of engine and vehicle speeds matching during acceleration. Is there a difference between the two hybrid powertrains when it comes to regenerating energy/charging the battery? Since the 2.0 litre hybrid system has more battery cells compared to the 1.8 litre variant, it can develop both a greater output and offer more regenerative energy. How is the gearbox of the 2.0 litre system different to that of the 1.8 litre system? Why does the former feature steering wheel-mounted shift paddles? To be exact, the HV system does not have a gearbox; it features a transaxle. The difference between the 1.8 litre and 2.0 litre transaxles is in the size of the motor and gear. On the 2.0 litre Hybrid powertrain we offer shift paddles as it gives the driver more control and thus allows for a more enthusiastic driving experience. The TNGA philosophyintroduces new, defined guidelines for the positioning of different components which simplify vehicle design in key areas. The impact is on items that are largely out of sight, so designers still had the freedom to give each new Corolla variant a visually distinctive and individual look with a lower stance and more appealing proportions. The new Corolla Hatchback adopts a significantly more sporting, dynamic and distinctive design with more striking frontal styling. This is a further evolution of Toyota’s Under Priority Catamaran and Keen Look design philosophies. Beneath the curved front edge of a flatter, clamshell bonnet, the narrow upper grille incorporates new, all-LED headlamp clusters with integral Daytime Running Lights (DRL). The surround to the large, trapezoidal lower grille projects powerfully forward. It is less pointed and more vertical than before, resulting in the 20 mm reduction to the vehicle’s front overhang. 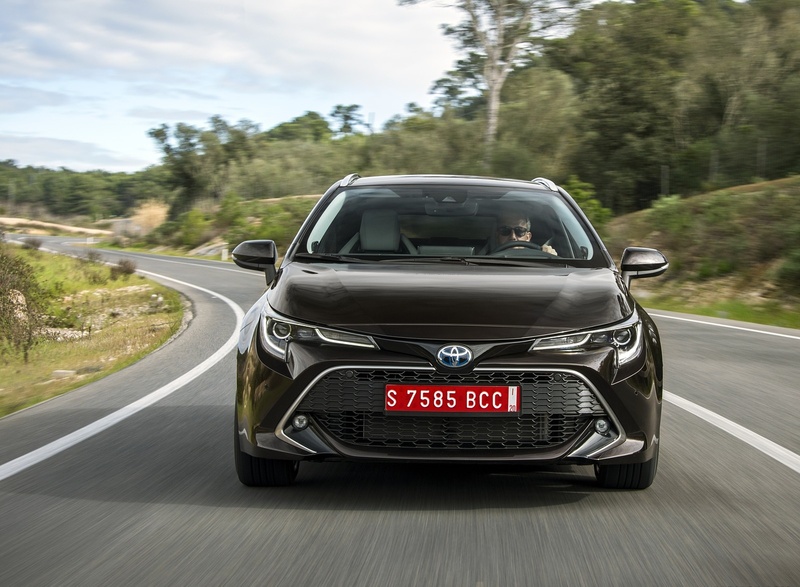 The sides of the grille surround form a trademark, catamaran hull shape at the front corners of the new Corolla, emphasising the vehicle’s increase in width, and its broad, sporting stance. The upturned edges of the front spoiler locate new, LED foglamps. And the grille mesh itself is of a new more articulate and refined design. In profile, the elegance of the new Hatchback’s sleek, sporting silhouette is enhanced by a choice of four new wheel designs including 18” machined-finish aluminium alloy wheels and two new 17” alloy wheel designs -one silver and one black machined-finish. The new rear design is more rounded than before, strengthening the visual relationship between the front and rear of the vehicle. The tailgate is constructed in resin to both make possible the design’s complex curvature, and to save weight. An increase in rear windscreen angle of some 14 degrees and the muscular hip above the rear wheel arch combine to make the overall appearance of the vehicle rear more compact. A roof spoiler is integrated into the tailgate and a shark fin antenna is fitted as standard on all model grades. The rear all-LED lamp clusters feature light guides placed as far as possible towards the vehicle extremities to emphasise the new Corolla’s wide, planted rear stance. And the rear bumper styling echoes the frontal Under Priority Catamaran design; a thin lower lip here incorporating twin chrome inserts on the 2.0L Hybrid variant. 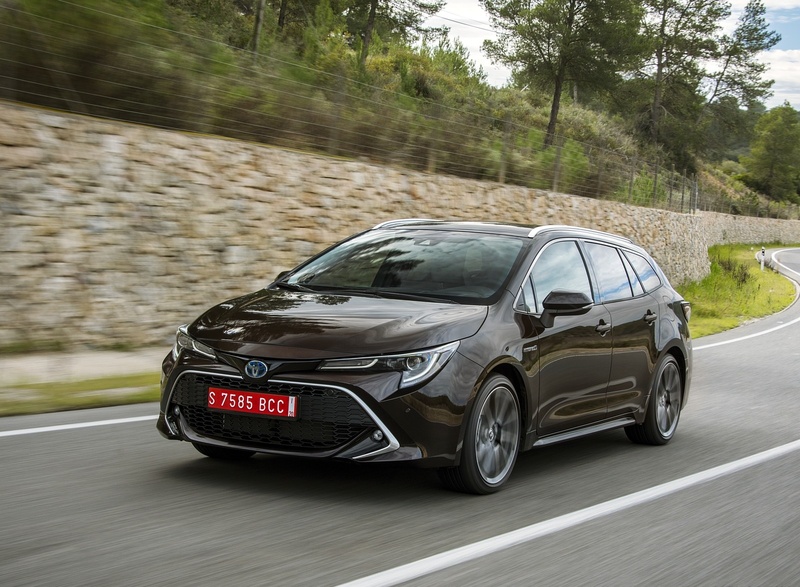 Overall length of the new Hatchback has increased by 40 mm, all of which has been absorbed within a longer wheelbase for a better driving position, higher levels of safety and improved design. The front overhang has been reduced by 20 mm, whilst the rear overhang has been increased by the same amount. The overall height of the Hatchback has been reduced by some 25 mm, whilst the cowl height of both is a substantial 47 mm lower. The result is a sleeker shape and a more attractive, lower bonnet, which gives the driver a clearer forward view and more confidence behind the wheel. These reductions in height, allied to a lowering of front and rear seating hip points by 24 and 26 mm respectively, lower the centre of gravity of the Hatchback by 10 mm. Front track width has increased by 6 mm, and rear track width by 30 mm. In combination, these measures contribute to more comfort, better stability and improved handing. 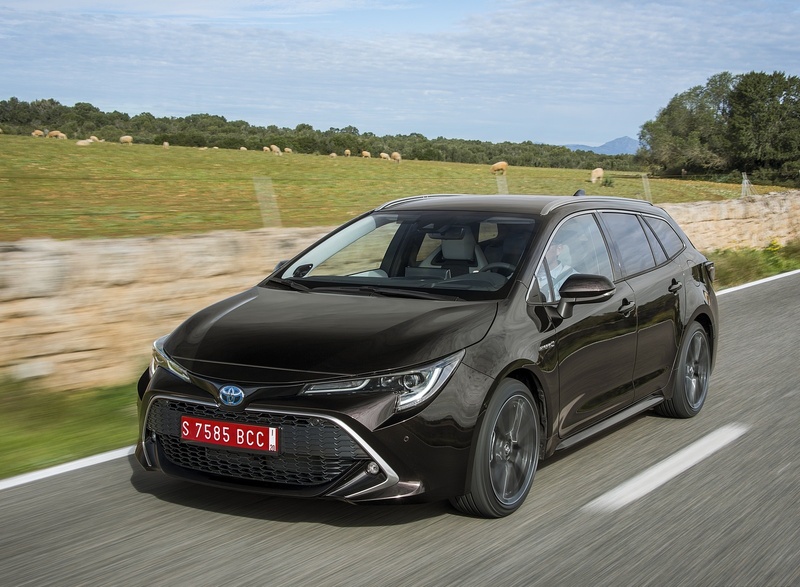 The new Corolla Hatchback will be available in a choice of 11 body colours of which four -Oxide Bronze, Flame Red, Platinum and Mocha Brown- are new. Exclusive to the segment, the Corolla Hatchback’s dynamic design is further emphasised through a range of four optional bi-tone colour schemes available from launch. They combine the body colour with a metallic black finish to the roof, roof front and rear pillars, and the door mirrors. With a body type that is unique to Europe, the new Touring Sports was styled in Europe at the recently opened Design Centre in Zaventem, Belgium. 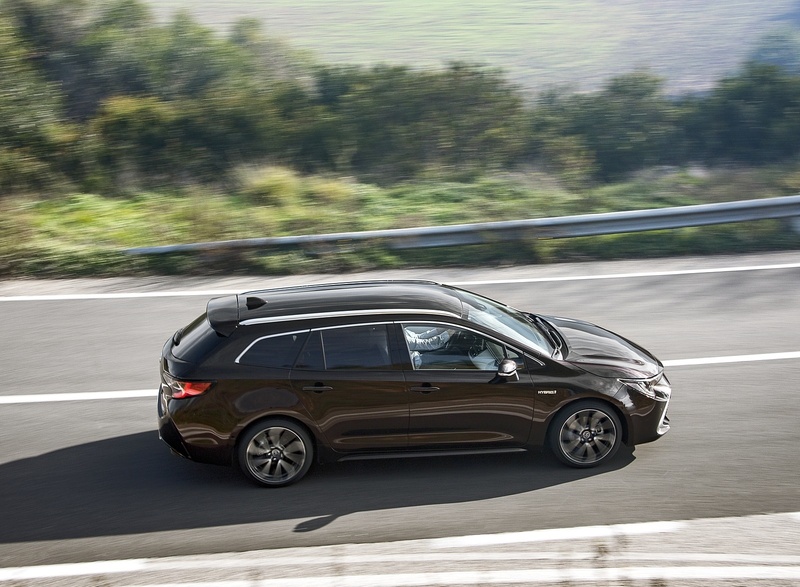 Thanks to the adoption of TNGA, the new wagon was developed in parallel to the Hatchback and Sedan and, as such, has become a distinctly separate model in its own right. 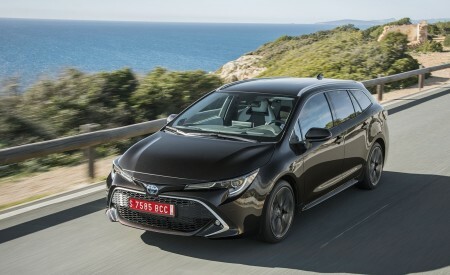 Though it shares the same dynamic, distinctive frontal styling and 25 mm reduction in overall height as the new Corolla Hatchback, every panel of the new Touring Sports from the B pillar aft is exclusive to the model, giving the wagon the refined, sensuous appearance and sweeping roofline of an elegant yet robust shooting brake. This sporting profile is enhanced by a choice of the same four new wheel designs as those offered on the Hatchback, and reinforced by the same wide, flaring wheel arches, their edges hemmed to allow the positioning of the wheels further outwards to emphasise the new Corolla’s wider stance and lower centre of gravity. 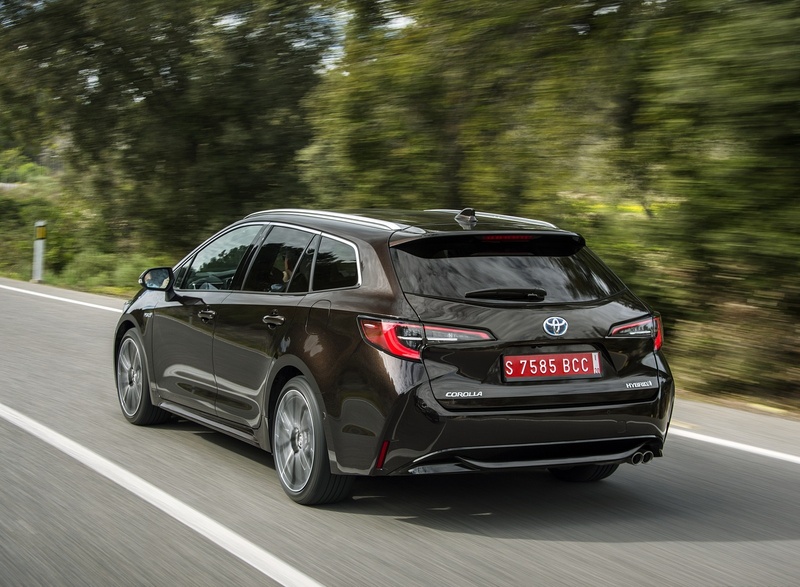 To the rear, the Touring Sports design theme shares the Hatchback’s muscular rear shoulders, and widely spaced, full-LED lamp clusters. The rear windscreen is raked 12 degrees more than that of the current generation. Distinct from the hatchback, the licence plate has been repositioned higher, within the tailgate panel, and the step at the tailgate sill has been reduced for a more premium appearance. Deeper rear bumper styling also echoes the frontal Under Priority Catamaran design, and houses a twin-exhaust on the 2.0L Hybrid variant. 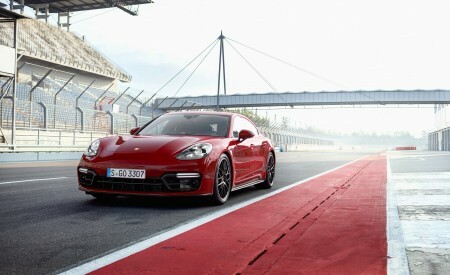 Although front and rear overhangs have been reduced, the new Touring Sports is 55 mm longer than the model it replaces. More significantly, it has a 100 mm longer wheelbase of 2,700 mm, and the front-to-rear seat couple distance has increased by 48 mm to 928 mm, providing best-in-class rear seat passenger legroom. The Touring Sports will be available in the same choice of 11 body colours as the Touring Sports, and will also benefit from the same range of four optional bi-tone colour schemes. 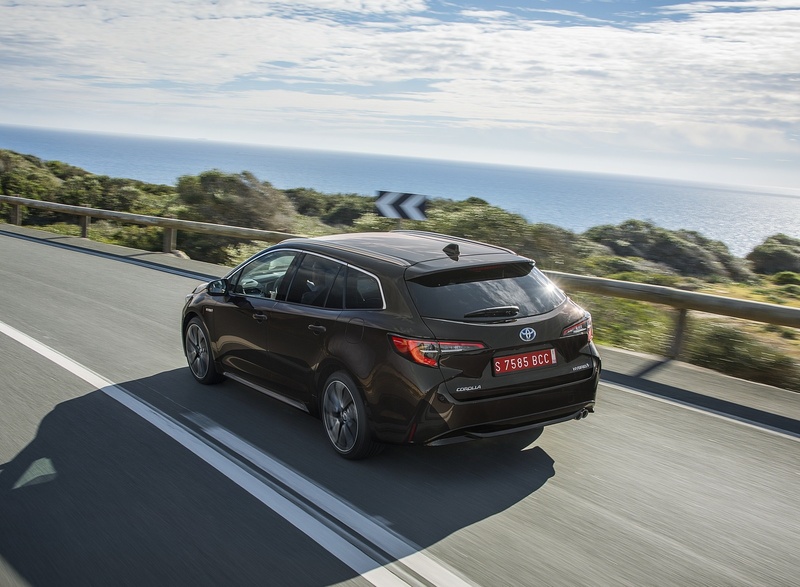 Building on the sleek and dynamic design of the compact Hatchback and the versatile Touring Sports, the new Sedan benefits from the same wide and low stance inherent in the new GA-C platform. However, its own individuality within the Corolla family is reflected by a more prestigious exterior design with all-new front and rear styling. To the front, Toyota’s Under Priority Catamaran design philosophy has been further evolved. A more striking, two-step execution of the fender front corners flank the powerfully projecting lower grille, a common design theme of the new Corolla family. The slim upper grille has a more three-dimensional design and connects with the top of the sharply designed headlamps, wrapping around the corners to emphasise the car’s low and firmly planted appearance. The rear design mimics the frontal execution through the dynamic shape of the bumper and the inversed trapezoid design of the trunk lid. The sedan-specific rear lamp clusters are connected through a chrome ornamentation strip, further highlighting the model’s wide stance. Furthermore, the unique signature of the front and rear LED light guides make the new Corolla Sedan instantly recognisable. 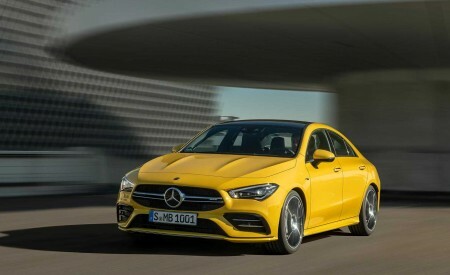 Its overall length increased by 10 mm, the new Sedan features a 5 mm reduction in front overhang and a 15 mm increase in rear overhang. It shares the same extended 2,700 mm wheelbase as the Touring Sports. The Sedan’s overall height and boot lid surface have both been reduced by 20 mm, and its cowl height lowered by 35 mm. In combination with a lowering of front and rear seating hip points by 23 and 9 mm respectively, these height reductions also give the new Sedan a lower centre of gravity. Sharing the same four new wheel design options as the rest of the new Corolla model range, the Sedan will be available with a choice of nine body colours, of which one -Celestite Grey Metallic- has been uniquely developed for the new Sedan. The new Corollamodel range showcases an all-new interior designed to create a spacious, modern and cohesive cabin environment in which new textures, colours and trim combine to offer the highest levels of visual and tactile quality. Key to the Corolla interior’s feeling of spaciousness is a new instrument panel design which is 24 mm slimmer overall. The resultant reduction in height of the upper panel area reduces the perceived mass of the panel itself, and improves forward visibility whilst still allowing for a lowering of the front seat hip point to lower the vehicle’s centre of gravity and offer a more engaging driving position. Conversely, the centre console has been made 42 mm wider and 22 mm higher to both improve switchgear and gear lever ergonomics and also enhance the wrap-around feel of the driver’s cockpit area. Simultaneously, the centre console armrest height has been optimised, and its sliding range increased by 20 mm for greater occupant comfort. The ergonomic excellence of the driver’s cockpit area is further enhanced by new, steering wheel design featuring rim heating and an optimised switch layout. A range of new switchgear and instrumentation completes the Human Machine Interface (HMI). Fully described in the Premium Comfort and Convenience chapter, this includes a new driver’s instrument binnacle incorporating a new 7” 3D-effect panel or a Multi-information display, a new, 10” colour head-up display, a new 8” central multimedia display, an electronic parking brake, a wireless phone charging pad and an electrochromatic rear view mirror. A revised front seat design features changes to both the seat back and cushion springs and the optimisation of urethane pad thickness. In combination, these measures achieve a better driving posture with wider pressure dispersal for enhanced comfort and reduced long-haul fatigue. Standard on High grade Hatchback and Touring Sports models, a newly developed front sports seat features thin and wide shoulder supports which overlap solid, thick side bolsters to combine a thin seat design with excellent holding performance. Rear passenger comfort has been increased through new seat cushion material for the more even distribution of occupant weight over the cushion area, and dedicated rear air vents. The Touring Sports and Sedan models’ long wheel base has allowed for an increase in the front-to-rear seat couple distance of 48 mm to 928 mm, providing best-in-class rear seat passenger legroom. The Corolla’s all-new interior design is made all the more cohesive and unified in appearance through the use of high visual and tactile quality materials and trim finishes, including satin chrome plating and paint, piano black inserts, and synthetic and genuine leather and stitching. Featuring Black or Cool Grey interior colour schemes, the Hatchback and Touring Sports offer a choice of fabric, Alcantara or genuine leather seat upholstery. The new Sedan’s interior is available with a choice of fabric or partial leather seats in a Black or Beige colour scheme, for a more prestigious atmosphere. Particular attention has been paid to the interior of the Touring Sports version, which has been specifically tailored to the European market, offering customers sensory quality of the highest order. A generous, 598 litre VDA loadspace incorporates numerous features for practicality and convenience. The rear seats may be folded down by remote lever operation for a fully flat loadspace. A hands-free kick sensor is now available for operation of the power tailgate, activated by sliding a foot under the central area of the rear bumper. Its opening has been extended by 10 mm. The repositioning of the rear shock absorbers has allowed for a simplification of the deck side wall trim structure. This not only maximises loadspace width and enhances loading ease, but also makes side wall storage pockets available behind the rear wheel housings on both sides of the deck. The load surface itself features a two (upper and lower) position deck, which may be opened and closed in the upper position as if hinged from the rear seatbacks. Fitted as standard on all grades, it is also fully reversible with carpet on the upper face and a resin-finish underside for wet or dirty use. The deck under-space has been enlarged and fully carpeted, and features detachable side separators. Convenience is further improved through the adoption of the world’s first LED compartment lamps on both sides of the loadspace, a detachable, one-touch retractable tonneau cover and aluminium anti-slide rails on High grade versions. Largely fittedas standard on High grade models and available as an option throughout the new Corolla model range, a comprehensive range of comfort and convenience technology is available to enhance life on board for both the driver and all cabin occupants. LED Headlamps:A range of three, grade-dependant LED front lamp clusters includes a triple LED parabola unit type headlamp, a Bi-Beam LED headlamp with AHB, and –unique to Hatchback and Touring Sports variants- an LED headlamp with Adaptive Automatic High Beam. Adaptive Automatic High Beam:Thanks to a matrix LED system, beam areas occupied by preceding and oncoming vehicles are automatically shaded, maximising the time during which the driver can use the high beam setting for optimum visibility. The system also varies the width of high beam projection according to vehicle speed. During times of low beam use, it automatically adjusts the beam cut-off line to offer the largest possible area of illumination without risk of dazzling the preceding driver. Adaptive Automatic High Beam also incorporates a cornering lamp function to improve visibility through bends in the road ahead. Colour TFT Display with 3D-Effect:The driver’s meter cluster is equipped with a 7” Multi-information Display offering a choice of digital and analogue speedometer modes. The panel may also be switched to display a 3D-effect, in which the dials appear to float in mid-air. Head-Up Display (HUD):Its position and brightness adjustable via the steering wheel switchgear, an optional 10” colour TFT Head-Up Display –the largest in the segment- projects various driving-related information and warnings onto the windscreen glass within the driver’s field of view, such as speed limits, navigation prompts and an eco-driving indicator. Toyota Touch Multimedia System:The new Corolla’s 8”, full colour, touch-screen centre console display features the latest Toyota Touch® 2 with Go multimedia and navigation system. The overall user experience of the improved operating system is enhanced by pinch, zoom and slide operation, and the addition of multi-contextual One Box Search. Sharpness and contrast of the screen now are similar to that of a tablet and allow for improved readability, even in direct sunlight. eCall Emergency Call System:eCall provides drivers with assistance during an incident when the airbags are deployed. It will automatically contact national emergency services, providing essential information such as vehicle location and the number of occupants, and ensuring that vehicle occupants will be able to communicate with the emergency services operator even if seriously immobilised. eCall also allows the vehicle occupant to contact the emergency services directly via a one-push button. The call is made using the vehicle’s in-built SIM, with no charge to the owner. Connected Services:Connected services will also be offered on the new Corolla. This all-new application makes numerous convenience and peace of mind features available to customers, including Last Mile guidance, Send to Car navigation, Find my Car, Driving analytics and Maintenance Reminder. JBL Premium Sound System:Hybrid versions of the new Corolla Hatchback and Touring Sports may be equipped with an 8-speaker JBL Premium Sound System. The speakers -including JBL’s iconic, A pillar-mounted horn tweeter- have been specifically tuned to the acoustics of the Corolla’s notably quiet cabin. The system incorporates Clari-FiTM technology which supplements the frequencies that are lost on compressed audio files -such as MP3 or streaming audio files- in real time, restoring the sound quality and stereo mix as closely as possible to the original recording. Wireless Mobile Phone Charger:A wireless charging system allows vehicle occupants to recharge all Wireless Power Consortium (WPC)-compatible mobile telephones simply by resting them on a dedicated pad located in front of the gearshift lever. Panoramic Roof:The panoramic roof for Hatchback and Touring Sports models features two glass panels, the front panel sliding to give a maximum opening of 272 mm. A mesh deflector reduces wind noise when the panel is fully open, and the roof is fitted with an internal electric roller shade. Kick sensor-activated Tailgate Opening:Unique in the mainstream segment, a hands-free kick sensor is now available for the opening and closing of the Touring Sports’ power tailgate, activated by sliding a foot under the central area of the rear bumper. The tailgate now features a one-touch, close and lock button, and its height when fully open can be customised. Simple Intelligent Park Assist with Automatic Braking (SIPA):The system uses a rear camera and ultrasonic sensors on the front side-bumper to identify viable reverse and parallel parking spaces. It will then automatically apply the correct sequence of steering angles for the parking manoeuvre into the target space; all the driver needs do is control the vehicle’s speed. SIPA automatically activates the braking system, ensuring the safety of parking manoeuvres. All three new Corolla variants are equipped as standard with the latest version of Toyota Safety Sense; a set of active safety technologies designed to help prevent or mitigate collisions across a wide range of traffic situations. The upgraded active safety package features a newly developed, single-lens camera with higher resolution and a millimetre-wave radar. The performance of both systems has been enhanced to expand the scope of hazard detection and improve functionality. The new system unit has also been reduced in size for ease of installation. Toyota Safety Sense now includes upgraded versions of the Pre-Collision System (PCS), full range Adaptive Cruise Control (ACC), Lane Departure Alert (LDA), Road Sign Assist (RSA) and Automatic High Beam (AHB). In addition, it introduces a new intelligent Adaptive Cruiser Control (ACC) and Lane Trace Assist (LTA) for advanced driving support . Thanks to the reduced risk of being involved in traffic accidents, vehicles equipped with Toyota Safety Sense can benefit from lower insurance costs or a more advantageous insurance reclassification. Further driver support and safety enhancing systems include a Blind Spot Monitor (BSM) with Rear Cross Traffic Alert (RCTA), Intelligent Clearance Sonar (ICS), Drive Start Control (DSC) and a full suite of brake and traction control systems. The upgraded PCS now detects vehicles in front between speeds of approximately 10 km/h and 180 km/h, and reduces the risk of hitting them from behind. When there is a possibility of a collision PCS prompts the driver to brake with an audible and visual alert. It also primes the brake system to deliver extra stopping force when the driver presses the brake pedal. If the driver fails to react in time, the system automatically applies the brakes, reducing speed by max. 50 km/h or even bringing the car to a complete stop, in order to prevent the collision or mitigate the force of impact. The operating conditions of PCS have been further upgraded, enabling the system to also detect potential collisions with pedestrians during both daytime and night time, and cyclists during daytime, in the event of which automated braking operates at relative speeds of between 10 to 80 km/h, and can reduce speed by max. 40 km/h . The full range ACC helps the driver to keep a safe distance from the car in front. It detects preceding vehicles and determines their speed. The system then adjusts vehicle speed to ensure that there is a safe distance between both cars. Benefitting from improved acceleration and deceleration control for enhanced performance and greater comfort, the upgraded ACC can be easily controlled by new steering wheel mounted switchgear. The system now includes low speed following and stop-start driving at speeds between 0 and approximately 30 km/h. In congested traffic, the vehicle will stop when the preceding vehicle comes to a stop, maintaining an appropriate distance to the vehicle ahead. The driver then restarts the vehicle, either with the use of the accelerator pedal or the steering wheel-mounted switchgear, reactivating the ACC system. At speeds over 70 km/h, smooth overtaking of preceding vehicles is enhanced by side-indicator-linked control. When following a preceding vehicle that is travelling slower than the vehicle speed setting, preliminary acceleration is applied when the driver operates the side-indicator to change lanes. If a preceding vehicle is detected in the overtaking lane, however, acceleration is suppressed to prevent suddenly approaching the preceding vehicle, enabling the driver to overtake with peace-of-mind. A new intelligent Adaptive Cruise Control (iACC) is now also available, linking the full range ACC with Road Sign Assist (RSA). When the vehicle travels at a constant speed in accordance with the speed preset by the driver, and a speed limit sign is recognised by RSA, the driver can easily reset the vehicle speed in accordance with the new speed limit, by using the switches on the steering wheel. At speeds above 50 km/h, LDA helps prevent accidents and head-on collisions caused by leaving lanes. If the vehicle starts to deviate from the lane without the indicators having been engaged, LDA warns the driver with an audible and visual alert, and can provide steering input to assist the driver to regain the intended track. The upgraded system can now also recognise the road edge on straight roads without lane markings. The Vehicle Sway Warning function detects vehicle sway which tends to occur when the driver starts to lose attentiveness or become tired, and alerts the driver with an audible and visual warning, urging the driver to take a break. Advanced driving support is now being introduced through Lane Trace Assist (LTA) -a new system which helps to further reduce the burden on the driver. When full range Adaptive Cruise Control (ACC) and LTA are active, the system assists the driver in steering control with gentle inputs to keep the vehicle in the centre of the lane, even on gentle highway curves. LTA can operate from highway speeds down to almost standstill, to support the driver also in case of congested traffic. And if it’s difficult or not possible for the system to see the lane markings, such as when they are faded, the car will follow the path of the preceding vehicle recognised by the camera and millimetre wave radar. Vehicles equipped with LTA also support all LDA features. AHB helps ensure excellent forward visibility during night-time driving. It detects both the headlights of oncoming vehicles and the tail lights of preceding vehicles, automatically switching between high and low beams to avoid dazzling other drivers. By using high beams more frequently the system enables earlier detection of pedestrians and obstacles. RSA supports drivers by ensuring they always have the best possible information, even if they have, perhaps, overlooked a road sign. System status and alert information is displayed to the driver on the instrument colour TFT multi-information screen. In the case of speed limits, the system gives a visual and audible alert should the driver exceed the posted limit.